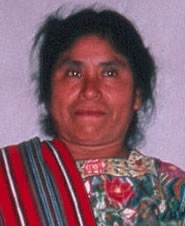 The Kekchi are an indigenous Mayan group who have migrated from the mountains of Guatemala and who maintain their pre-Columbian language and culture. Their primary language is Kekchi, a Mayan language originating in Guatemala and Belize. Kekchi is taught in public school's in Guatemala. People can easily mistake Kekchi as being Mexican or speaking Spanish, which is not the case. Many in the United States are conversant in Kekchi while younger generations educated in the United States are bi-lingual speaking both Kekchi and English. The primary religion practiced by the Kekchi is ethnic Mayan religion rooted in the reverence of their ancestors and spirits in nature. Mayan religion is expressed through traditional rites, customs, and worldview, and conversion to Christianity essentially equates to cultural assimilation. Both the Bible and the Jesus Film are available in the Kekchi language. Pray for Kekchi believers will boldly proclaim the gospel to their people. Pray for more workers for the harvest, both for the Kekchi in the United States, as well as those in Guatemala and Belize.